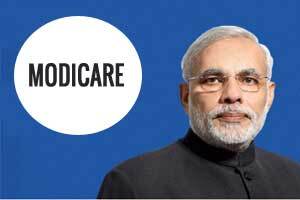 New Delhi: Prime Minister Narendra Modi will roll out the Centre’s flagship Ayushman Bharat-National Health Protection Mission from Jharkhand on September 23, Union Health Minister J P Nadda said on Thursday. At the flagging-off ceremony of battery-operated bus services at AIIMS here, he said whatever budget is required to implement the Ayushman Bharat programme will be allotted by the government as it is committed to providing affordable health care to the people. Ten battery-operated buses were donated to AIIMS by INDIA TV as part of their corporate social responsibility (CSR) initiative. Maintenance of these buses, including the salary of the drivers and other support staff, for two years will be entirely borne by INDIA TV and the same can be renewed further.